Like everyone else this time of year, I just received my new assessed value for determining what my share of property taxes will be for 2020. Property taxes in Washington County are based as a percentage of your assessed value. Washington County says they try to get the assessed value of your property to be 95% of the estimated sale price and then your tax owed is approximately 1% of your assessed value. Well, being in the real estate industry for a living, I know how hard it can be to accurately determine what a property will sell for, so I know that an assessor has a hard job. I make it a point to get into as many properties in the Hugo area as possible that come on the market so that I can use that knowledge to come up with accurate pricing. Especially for an old farmhouse like mine that has many issues that can affect value, good and bad. So, when I received our value that I think is about $50k high, I called the assessor to dispute the value. I don’t think the value is drastically off but being that valuing property is what I do for a living, I felt that my value should be as accurate as possible. So the assessor came out and I gave him a tour and tried to point out all the things that are wrong with the house and will affect the resale price. He was a nice guy and seemed to be open to adjusting the value, but we will see what happens when he goes back to the office. He was certainly more agreeable than any city assessor that I have encountered in St. Paul or Minneapolis. Those guys were like professionals, they had scripts that they used that made it seem like they were fully trained to negotiate with homeowners on the value issue. Dan, the Hugo assessor, seemed like he was genuinely interested in looking at the value. So, that’s good, I hope. Some additional information: according to the City of Hugo, the average home value change for 2018 was 6.9% increase. With the average increase in value based on actual sales being 6.9%, which is a healthy increase, I am not sure what Washington County is thinking when it has almost 25% of the households in Hugo having a 10-15% increase. That’s where I was and I believe it was my second year in a row of over 10% increase. That’s agressive. I think as a homeowner you should keep these values accurate and it isn’t that hard to dispute your value, especially if you live in area where there are good comparable sales to justify your value. I can always pull a few comparable sales so that you have actual sales to justify your claim. Just give me a call, I am happy to do it. The assessor told me that if you don’t dispute the value by next week, then you would have to go to the meeting for the board of equalization to dispute the value and I am not sure what the process looks like to dispute at the meeting. I would think it is more difficult than having a conversation with one assessor. I’ll let you know how my dispute turns out. We just listed and sold 4970 149th St N #1 town home in Water’s Edge development of Hugo in 1 day. There are a ton of buyers out there that lost out on this one, so if you are thinking of selling and want a quick, easy sale to some ready to go buyers, please reach out to me. Obviously the town house market in Hugo continues to be red hot. 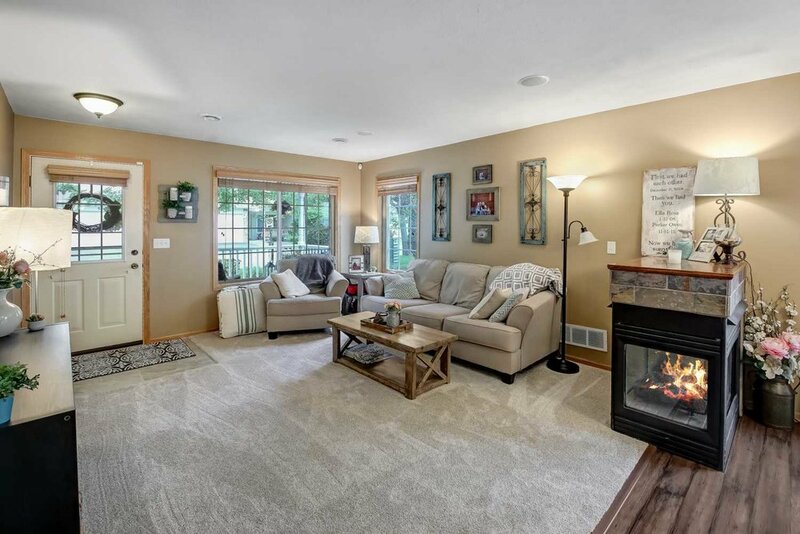 Wonderful opportunity to own a newer constructed walk out rambler on a 5 acre private lot in Eastern Hugo and located in the Mahtomedi School District. Coming on the market this week, this home features 3 bedrooms, 3 bathrooms a main floor office, 3 car garage, beautiful sunroom and an open floor plan. Contact me for a pre-MLS showing or more information. Below are the year end reports for the Twin Cities Metro and area and the City of Hugo. Just hit the market this week and listed by Sarah Skalicky for $775,000, this super home is located in the highly prestigious Fable Hill neighborhood. It’s one of the prime lots that were built in the original development. The neighborhood has a great feel, very high end with rolling hills and large lots. The house is very nice. It sits up on the crown of the hill and faces the Fable Hill tower. The back yard is good but not overly large for the size of the lot. It somewhat backs up to the entrance road but there is some wooded area between the yard and the road so I don't think its much of a factor. Inside is solid and well built as Pratt homes are. High ceilings in the living room with the gas fireplace. The kitchen is nice but not overly so. Maybe at this price point you would expect a few more bells and whistles and that perhaps shows the age of the house. The main floor space feels just a little small but that could be the fault of the oversized furniture which doesn't help the feel. Also on the staging side, the owner is a big hunter and the multiple deer heads and gun room could be toned down. On the floor plan side, the master suite is on the main level and there are two bedrooms upstairs with a play area. It works but its different than many of the newer construction homes with the master on the upper floor with the bedrooms. It probably fits a family with older kids more than young ones. The basement is a walk out and has a nice warm feel with the fireplace and bar. There is also a great storage room that can be accessed or driven into from the back yard. The floor is epoxy. Very nice for the toys. Overall, its a great house. 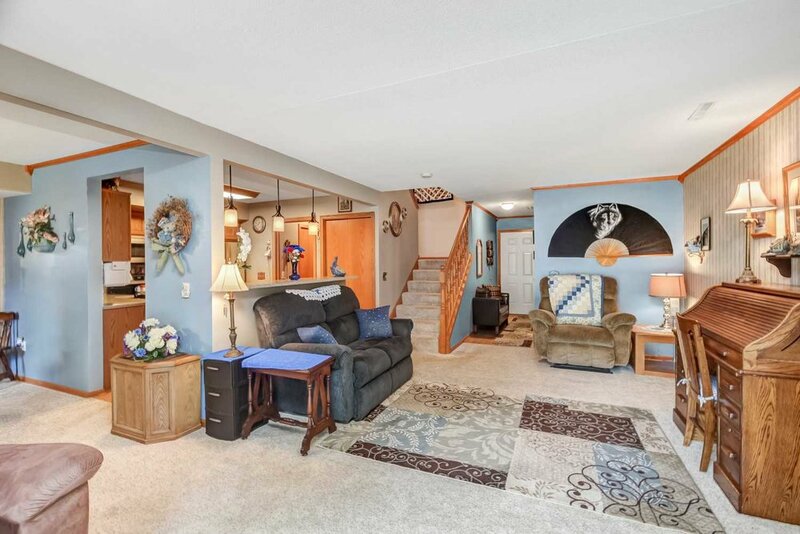 Could use a little staging help and a bit of decluttering but otherwise a super house in the best neighborhood in Hugo. The only other drawback is the price, which is probably close to the right price but still a lot of money compared to some of the new construction. 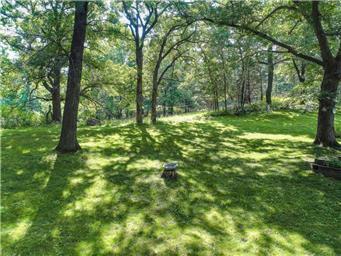 However this is one of the prime lots in the neighborhood and that certainly has value. Interesting information and map from a class given by Washington County. This shows the historical data from aggregated radon tests in Washington County. 4.0 p/Cl is considered the threshold for high levels of radon in a home, so if you are under 4.0, the house is considered to be safe and if a test comes back over 4.0 p/Cl the house is considered to have high radon levels and should consider installing a radon mitigation system. As you can see, Hugo and Forest Lake generally have low levels of radon while areas in Southern Washington County and all along the St. Croix riverfront have generally high levels of radon. Houses can vary from one to the next as the radon levels are based on soil type and conditions but in general, homeowner’s in Hugo and Forest Lake have less to worry about in terms of radon. New, proposed development in eastern Hugo and Mahtomedi Schools. This parcel is 137 acres with 13 proposed lots and shows how land can be developed at a smaller lot size than is allowed in the zoning code. These parcels are classified as rural residential according to the City zoning map, which is 1 parcel of land per 10 acres. As you can see, most of these lots are less than 10 acres. However, if you take the total acreage of 137 acres and divide by the number of platted lots (13), it works out to a density of 1 lot per 10 acres. The City allows this because it satisfies the density requirements per the zoning code. Additional land is set aside as an outlot or common space. All lots are required to have a minimum of 300 feet of road frontage either on the road and cul de sac that the developer is building or on 120th Street. Lot prices are from $250k - $379k with the builder Parent Custom Homes and sold by Edina Realty. The development has been approved by the City council. Last week at the Hugo City Council meeting changes to the Browns Creek and Rice Creek Watershed dividing line were approved. See attached map. The areas in pink went from Browns Creek to Rice Creek and the areas in green went from Rice Creek to Browns Creek. I received a letter in the mail informing me of this action a few weeks ago and the whole thing smelled a bit fishy to me so I did some investigating. I was concerned that a large property holder was trying to reclassify their land to be more development friendly as the difference between the two watersheds is that Rice Creek doesn’t have buffer restrictions around delineated wetlands. So, that can be a big deal for someone trying to increase density. I spoke to Rice Creek and Rachel Zuba at the City of Hugo and was told that it wasn’t a developer for a particular piece of land but that it was in response to a prior watershed delineation of the watershed line that was done incorrectly. They said that it was brought up by John Waller and the previous City of Hugo mayor Mike McCallister. I called Mike and spoke with him about it and it seemed like he was trying to set the record straight and that it wasn’t about any particular property being developed. His property was incorrectly classified and he was aware of this because he was mayor at the time of the previous survey and he wanted to set it straight. My main concern was how Wild Wings game farm has now been reclassified as in the Rice Creek watershed district. They still need to adhere to current density and zoning requirements in the area, which is long term agricultural (10 acre min lot size) but the lack of a buffer requirement could really be advantageous for them if the decide to sell and develop (which I hear rumblings about). My other concern with this process is how very few homeowners in the area were actually notified about the change. I was the only one of the immediate neighbors that I spoke with that received a letter about this. That’s what also made me a bit suspicious. The City of Hugo mentioned this as well. If this were a big concern or change to the area the local authorities need to follow protocols and notify all those affected. 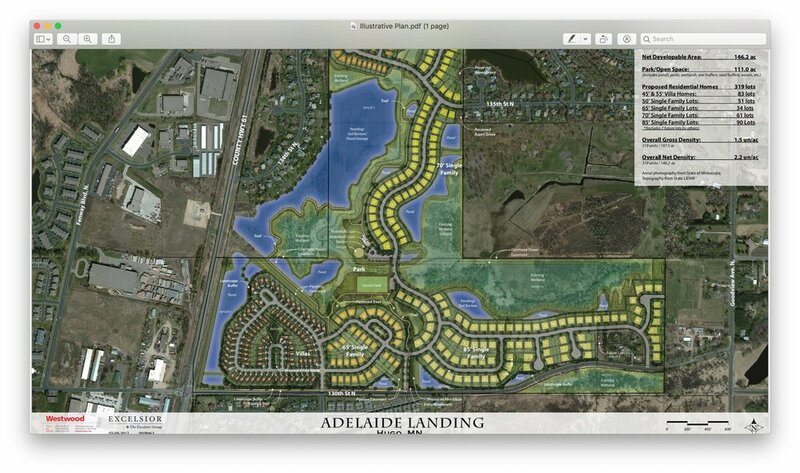 Adelaide Landing is a new contsruction development in southeastern Hugo just off of Highway 61 and 130th St. There are 3 builders involved, Creative homes, Derrick Custom Homes and M/I Homes building the villas. This will be a 4 phase developement that will most likely be selling for 3-4 years. Right now they are selling phase 1 and 2 which are the villas by M/I Homes priced starting at about $350,000 and Creative Homes and Derrick Custom Homes building the single family homes starting in the upper $400k’s on 65 and 85 foot lots. One aspect of the development that is interesting is that the Mahtomedi and White Bear Lake School District line goes right through the middle of the development. It looks to me that about 1/3 of the single family homes will be in the Mahtomedi School District. I have spoken with the Mahtomedi School District superintendant about how this will affect open enrollment in the district as Mahtomedi is a highly desirable district. He has said that it will greatly affect the process and probably eliminate it. 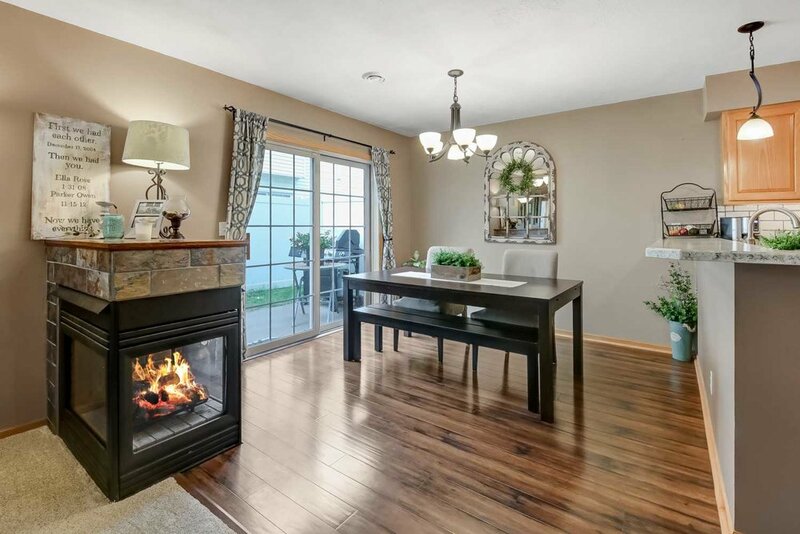 Right now it is extremely difficult to open enroll, especially after kindergarten and 1st grade and who do you think most of the buyers are going to be for two story 4 and 5 bedroom, 3,000 square foot homes….families. It will be interesting to see how Mahtomedi acclimates to adding a potential 40-50 homes and 100 kids to the district in the next couple years. On the house side, I think the homes are great. Creative homes makes a solid home at an affordable price. The floor plans are open and materials and workmanship are very good. The price point is affordable for new construction. I am not as familiar with Derrick Custom Homes. The streets are just recently in so you can start to get a feel for how the neighborhood will flow. The entrance is on 130th St and is going to move further east from the models once its more developed. Its not a huge parcel of land so the streets are stretched horizontally more than a boxey feel, which I think is a good thing. There are a lot of wetlands, which there always is in Hugo and we will have to see how they grow in and mesh with the neighborhood. They will use reclaimed storm water for irrigation. 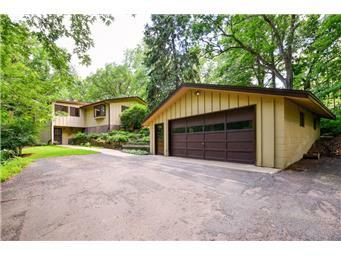 There is a new listing this week in Stillwater on the market for $399,900. Located on the South hill and just a few blocks from downtown. It is a complete renovation from the last sale in 2015 for $157k. It looks like every surface has been touched with a new LP Smartside exterior and new garage exterior, all interior surfaces have been painted, new kitchen and baths. The house isn’t overly large but is laid out well. Two main floor entrances, with one on Oak and the other on Martha as the house is a corner lot. The curb appeal is excellent and the house ties in very well to the garage and the white exterior is the color of choice for builders these days. New kitchen has a large center island and everything is new. The dining room is off to the side but there is still a connection to the kitchen through the opened up doorway. The only drawback is the living room is disconnected from the kitchen as you have to pass through the dining room to get to the kitchen. The main floor has a great master suite. Upstairs has two bedrooms and a full bath. This home would work well for a family with two small children with the main floor master and the upper bedrooms. Overall, a great home. Its expensive for $1400 square feet, but it should be for the level of finish and style. The basement is unfinished and has typical low ceiling height but there is possiblity for future expansion. I think this one should sell fast. 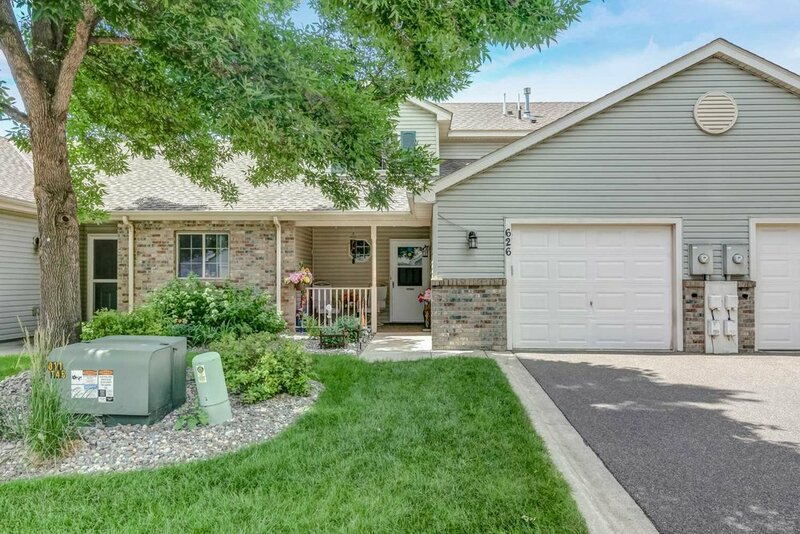 Just listed this wonderful 3 bedroom, 3 bath end unit in the quaint townhouse complex of Pineview Meadows in eastern Hugo. The complex is a mature, quiet area just of highway 61 south of downtown Hugo. This end unit has 3 baths, including a master upstairs and 3 full bedrooms up as well. 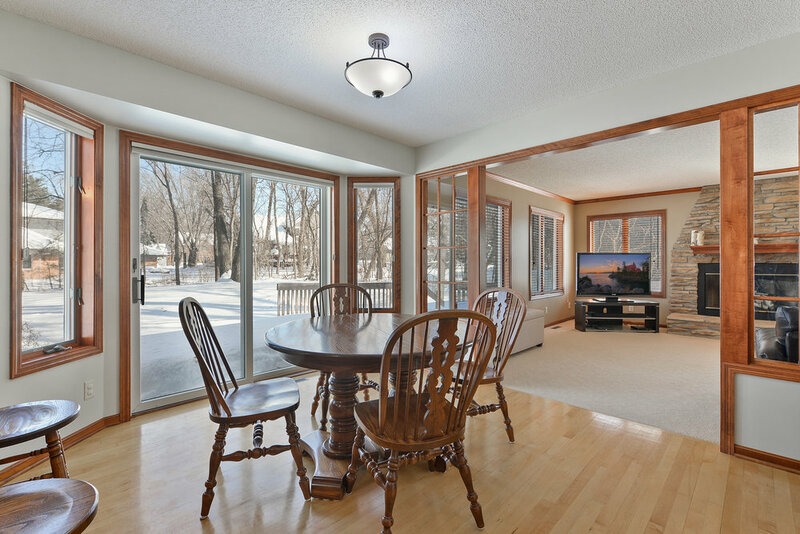 The main level has an open feel with a gas fireplace and an updated kitchen. There is an outdoor side area off the dining space for grilling and also a front porch for relaxing. Sheffield Lane is a quiet, feels like private, rustic road that wanders down to a dead end and follows the St. Croix. Not all of the homes are on the river and there are a mix of rustic cabins and new, modern builds. This house isn't a new build but it has been nicely updated and certainly isn't a cabin. I had a client years ago that bought a 3 season cabin just down the street and there have only been a handful of sales on the street since then. Whats really cool about the lot is that it sits on almost 2 acres and most of that is away from the river on pasture with a barn. So, you get the privacy on the river and useful land to play around and feel like you're in the country. The house itself has nice finishes, the main drawback is that there is so much oak wood in the house, with most of the trim and kitchen woodwork and cabinets. It wants to feel contemporary but it's difficult with so much dated oak. It is nestled in the trees and the views of the river are filtered through the branches as you are high above the river on a bluff. The dock is beautiful as you step down to the river and has a very private setting. We'll see if it can fetch $1.1mm. Just looked at this house in May Township. Its has a ton of potential. It has a mid century modern feel to it, unfortunately the finishes look like they were updated in the 50's also. 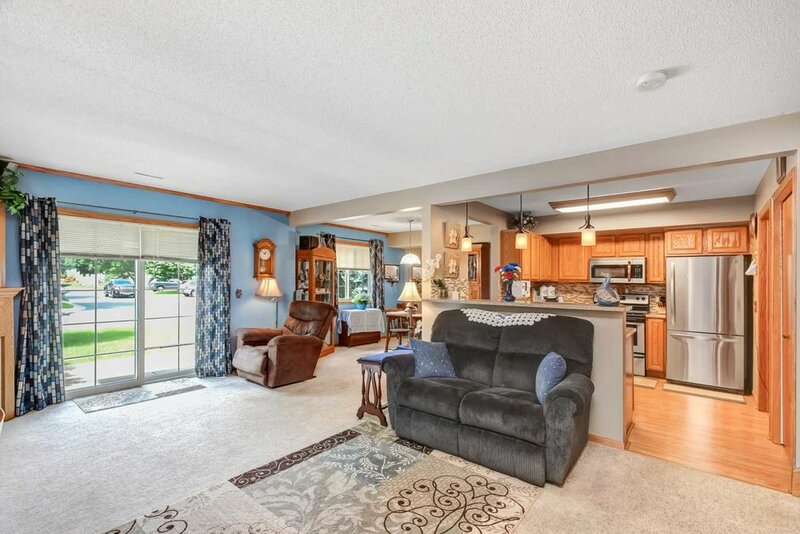 Super quiet, private location, completely surrounded by woods. Shared driveway that splits off from the neighbor and off of Guslander Trail about 1/4 mile back. The driveway is tight and wouldn't want to have a novice driver on it for the first time. 10 acre lot, no pole barn but should have an area to add one. The hot townhouse market continues...just listed this 3 bedroom 2 bath, 3 level townhome in the Landings at Summerfield. One of the only units in the complex that has finished space in the lower level instead of just slab on grade. 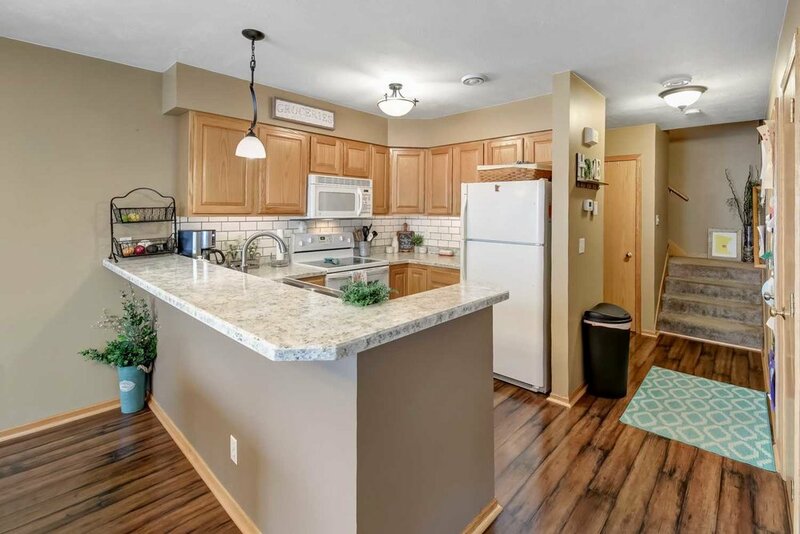 This is a Bruggeman built complex in a super convenient location that has access within minutes to both 35E (St. Paul) and 35W(Minneapolis). Contact me for additional information or to set up a showing. Just listed for $625,000, actually $620k and then increased right away to $625k. Large house on 5 acres in the rural part of Eastern Hugo. 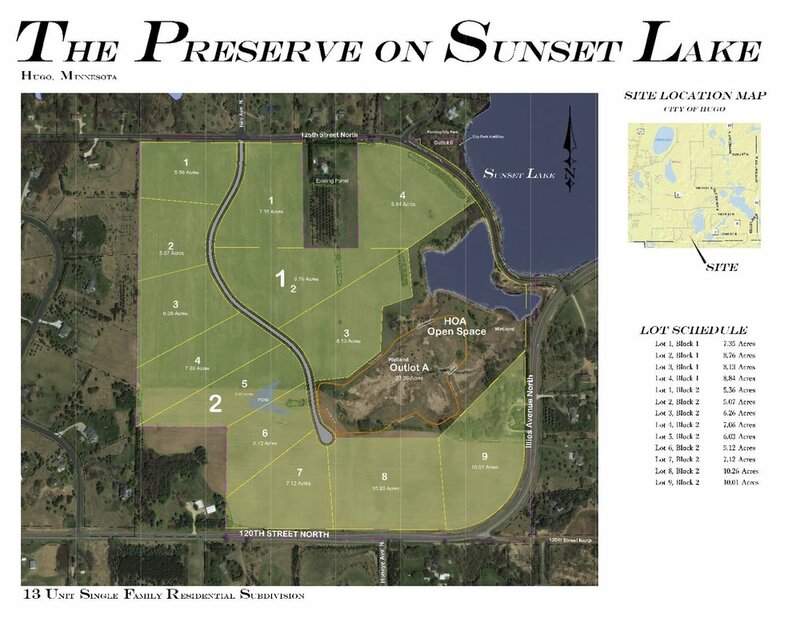 Pros: 5 acre lot on Oneka Lake, which is a natural environment lake classification from the DNR. A lot of flat, usable land on the lot. Large, heated pole barn with concrete pad. A lot of space, 5 bedrooms, 4 bathrooms and over 4700 finished square feet on two levels. There is a great, large deck on the second level of the home that has views of the lake. Cons: The house is large, but lacks the detailed finishing that one might expect at this price point. Very clean and well maintained but the level of finish is very basic. The floor plan is a little awkward and does have a warm inviting feel. The upper level kitchen is in the front of the house, cut off from the views of the lake and the backyard which is the strength of the house. However, the house is a good distance away from the lake so the views of the lake are somewhat distant and it doesn't feel like a lake home, more like a home with a lake lot. Definitely for the unique buyer with the full kitchen and two bedrooms and living area downstairs. Overall: It has a lot of space and it's a good lot on Oneka Lake. The lot doesn't have a ton of charm but is very usable depending on the buyers needs. Its not the best set up for horses being only 5 acres but the lot is super flat and all the land is usable so it could work. I didn't get inside the pole barn so I am not sure about the set up inside. The level of finish on the interior of the house is going to be a tough sell at this price point. 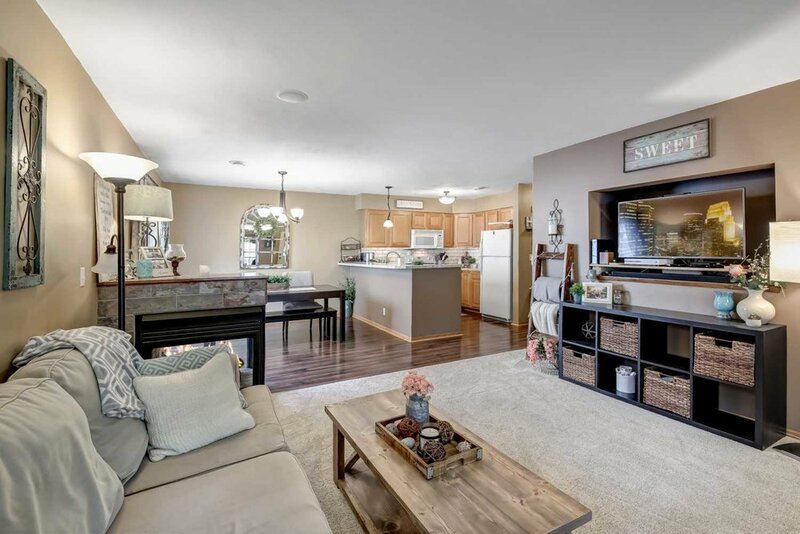 A lot of space and if it fits the multi-generational buyer that wants to live together maybe it makes sense, otherwise I think the price is expensive for what you get here. House review of 15626 Enfield which is currently on the market for $444,900. Very nice home in a popular family neighborhood. 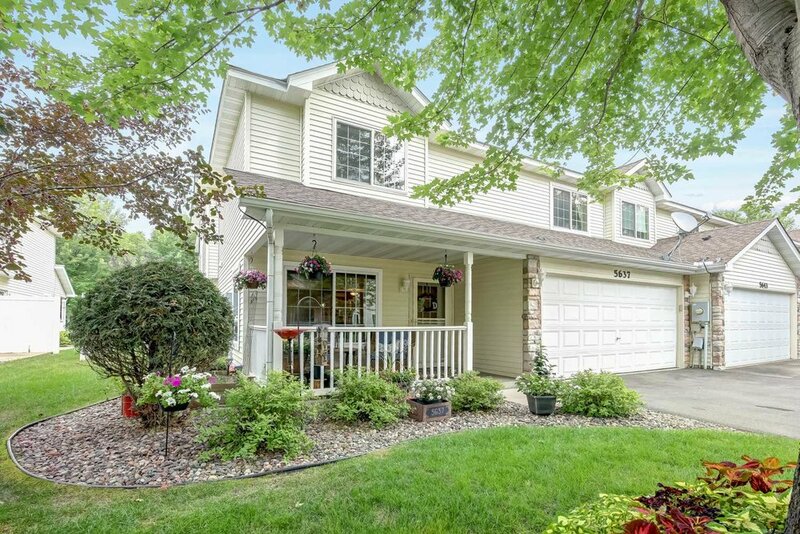 Built in 2005 and located in the Heritage Ponds neighborhood of Hugo. This house has been on the market currently for 18 days. It has 5 bedrooms, including 4 on the upper level with a master bath and 3 finished levels. My opinion is that while its a great house with a lot to offer, it is expensive for the neighborhood. These homes are still competing with some of the newer construction out there is generally available in the mid $400k’s and this home has an older kitchen with oak cabinets and a little bit older floor plan. However, its a super lot and location, with no homes immediately behind it and it has a great location on the street overlooking the park. It has some good quality and upgrades that make it a better value than the DR Horton homes that are selling for upper $300ks in Clearwater Cove but there are still a lot of homes in the immediate area for upper $300ks that have similar properties. There are also a few houses for sale in Victor Gardens south of Frenchman’s road that are in the low $400ks that have better upgrades and similar size and floor plan. 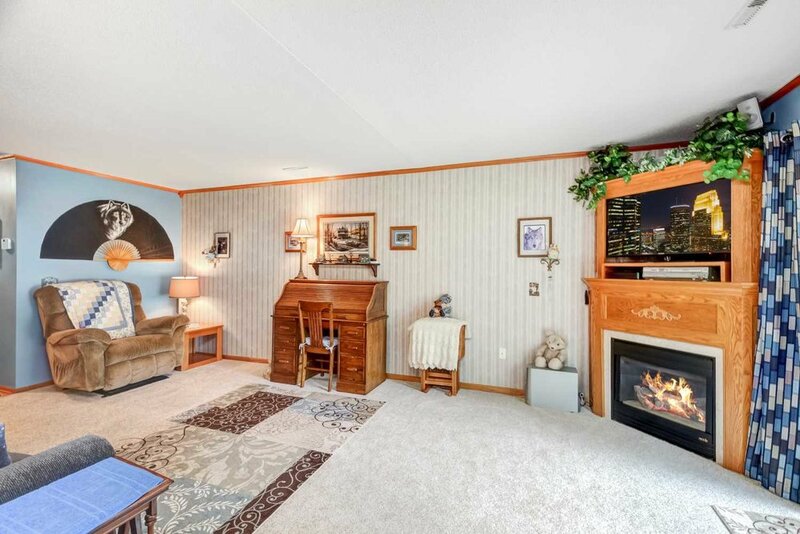 A very nice finished walk out basement with a gas fireplace is a nice amenity but I don’t know if its enough to get the house sold. I think the market is heading in this direction and price, but we may still be a season away for this house to get the mid $400k’s on price. Probably the number one question I am asked from Sellers is "what should I update on my house in preparing to sell? If you go by the remodeling guide's latest evaluation of cost vs the return on investment of remodeling projects, it isn't much. There aren't any projects listed that actually give you over a 100% return on your invested dollars, so if that is the case, there isn't a major project that a seller should do. However, these are talking about sizable renovation projects. I would always recommend spending some time and money upgrading curb appeal and having fresh flooring and paint, this maybe somewhat labor intensive but it is well worth the investment. 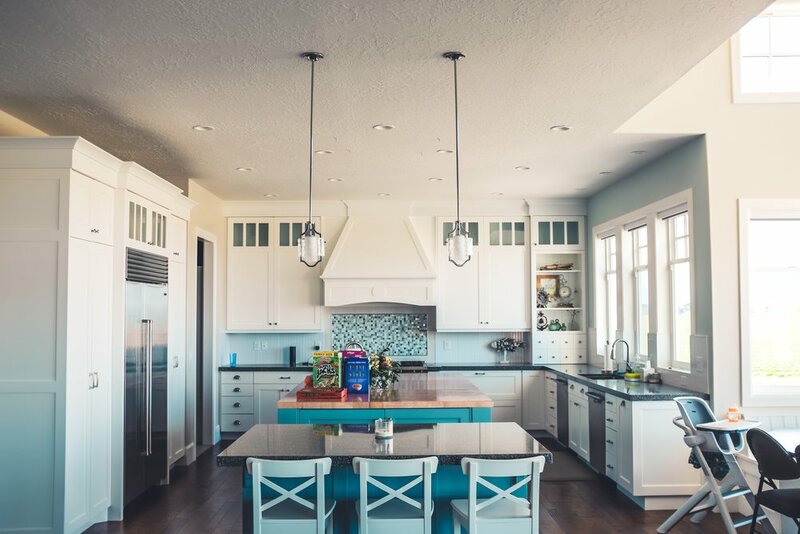 Concentrating on modern flooring and fresh paint is highly recommended and then the next area that would give you a return on your dollars would be updating kitchen and baths. This doesn't mean doing a complete facelift but by spending a few dollars on updating some dated fixtures can have a big payoff. In the past issues of this remodeling report there was only one project that justified over a 100% return on your investment, and that was putting in a new front entry door. Coming in second was usually high end garage doors. So, the front entry is a great area to focus on making sure that this area is in great shape and really wows a buyer. I usually recommend on the smaller scale items that if a buyer is going to need to replace something when they move in, a seller should consider replacing it because they might as well get the value out of it while the property is on the market. An example would be worn carpet. If the carpet is so worn that a buyer would immediately replace the carpet, the seller should put in new carpet. If the buyer may keep the carpet because its only a couple years old, then probably a carpet clean would be sufficient. It is amazing what brand new carpet can do to refresh a home. It also depends on where a home is in relation to the rest of the neighborhood. If a house is already priced at the low end of the neighborhood, then it might make sense to not do any upgrades and just sell at the low end of price because a buyer will still be able to gain equity by doing some of the upgrades themselves and to their own tastes. If a house is priced at the high end of a neighborhood then there might be some upgrades that will need to be done to justify the top dollar. But in general, stay away from the more extensive remodel upgrades and just do some minor refreshing to the home. Paint as much as you can with neutral colors, new carpet, fresh mulch and landscaping and fix any deferred maintenance items is probably a safe plan. Maybe some new light and bath fixtures and a new appliance in the kitchen to replace the one that is 20 years old. Adorable 2 bedroom townhouse in quiet association, super location, well maintained. What should you worry about with a vacant lot purchase? I just had a buyer purchase a lot on Big Marine Lake. Pricey for sure with an almost 2 acre lot going for $475k. With an investment like that you wouldn't want to find out that either the lot isn't buildable or that you need to spend an extra $40k to put steel pilings in the ground to add support to the foundation because the soils are bad. What you should do to protect yourself is write in a contingency to the purchase agreement to have an acceptable soil test done. This is different from a perk test that tests the soil for a future septic system, which you should do also. This test goes deeper into the soil than the 3 foot perk test and looks for how good the soil is to build a structure. The concerns are clay soils or a high water table or even soils that are hazardous because in the past the site has been a dump site. The cost is high for this test, over $1000 usually which covers the big truck coming out (see picture) and taking multiple soil readings about 10 feet deep. But the downside of having bad soil is a much more expensive mistake. If you find out that the soil is bad or that it will take extra costs to build on a site with less than perfect soil, if you have written in this contingency to the purchase agreement, then there is a good chance that you can negotiate the price if you still want to move forward with the purchase. Often in a more urban area than the rural lot on Big Marine, if there is a lot that hasn't been built on in the past, there is a reason for that. Many developers left unbuildable lots and then 40 or 50 years go buy and someone wants to build on a lot in a desirable neighborhood only to find out after purchase that this lot was the fill site for the development or that this was the swampy spot that has since dried up a bit. There are some signs that you can look for that will tell you if the soil is good. Obvious signs like a low lot, or wet soils give indications that the soil is wet. Large trees on the site can tell you that the soil is good because if it can support the trees, it can support a house. In addition to the soil test you should also perform a perk test. This test runs around $600 and verifies that the site can have a septic system installed in the future. Obviously if there is a City Sewer connection at the street this isn't necessary. But if there isn't you need to make sure that you can install a septic system on site. The soil tester will give you a log of soil borings and sketch a system on a map that shows where there is sufficient room for a septic system. When you decide to build you then take this information to a septic designer who will then draw out the specs of the actual system. That is some big expenses for sure, but its better to protect yourself and your investment on the front end than to find out afterwards and realize a more costly mistake. Who would have thought a few years ago but the condo market in Hugo is red hot! I just had a buyer looking for a condo basically in the Waters Edge condo development which is just North of Frenchmans Road in Hugo. Its a newer development that built in the boom years. As the Great Recession hit and the housing market crashed condo developments like this were some of the hardest hit areas. Developers had over built condo because if they could sell them they allowed the developer to squeeze the maximum number of units into a certain area. So, when the market crashed there was a tremendous oversupply of condos and an overhang of new construction condos that were fire-saled by banks and developers that didn't go under. Which made existing homeowners that had just bought deeply underwater and in a position that they couldn't sell their property unless they wanted to take a huge loss. Add to the fact that in the Waters Edge association there was pending litigation against the builder which made conventional financing almost impossible to get for buyers. This further depreciated the prices that these condos could sell for. Fast forward a couple years... the litigation is over and conventional financing is available again and all of sudden these condos are a hot commodity! For example, I just had a buyer that was looking to buy a condo to rent out to her daughter in Hugo. She liked the location of the Waters Edge condos and we started looking. Every condo we looked at was sold within a day or two. When she was ready to put an offer in, we found a 3 bedroom 3 bath condo on the market for $199k. We knew the market was hot and we put in an all cash offer (nice buyer:) and removed not only the inspection contingency but also the review of the condo document contingency because we were familiar with the rules and bylaws and financials of the association. And we went $10k over list price. We thought we were a shoe in for getting the offer and guess what, we didn't get it. We kept looking and found another condo that the buyer liked in the same neighborhood and basically put in the same offer in another multiple offer situation and got our offer accepted this time. So, the moral of the story is that the condo market is hot! An amazing turn of events, prices are rising and multiple offers are abundant. Hugo is hot! Its a great, growing, family friendly area with good schools. If you are a condo buyer, beware there is some competiton out there and if you are thinking of selling your condo, it is probably a good time.